Create better products by understanding the needs and emotions of the target audiences through a holistic customer journey. Only 24% of the companies measure Customer Experience (CX) across channels while the rest measure either at one such touch point. Companies too often shy away from focusing on the emotional dimension of CX because emotions seem abstract, intangible, and irrational. What they don’t realize is that emotions are actually quite predictable: They just follow a different set of rules than rational thought. When CX pros better understand how emotions work, they’re better able to guide their firm towards making positive CX the norm. Speak to the store in-charge. Post a comment on Social Media? While for the organization, the customer visiting this local store with a specific need is a Touch point. And this customer could have many such interactions with the brand after buying the product. 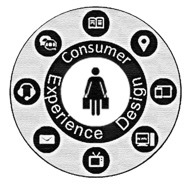 These touch points are often dis-connected with most organisations either due to their vastness or minimalistic expertise on Customer Experience. A touch point is basically the moment of time at which interactions take place while a channel is the medium through which such macro interactions are experienced. A micro moment of interaction involving a specific human need at a specific time and place. A medium of interaction with customers or users. So a Store Manager, Call Centre, Email and Social media are channels to a customer to express his concerns according to the above example. To design successful products organizations need to feel the emotion, understand, engage and measure experiences behind every single touch point by identifying Channels, Opportunities and Constraints. What could be the emotion of the hi-rated customer when he wanted to speak to my store in-charge? How was he feeling? What are his motivations for buying the product? How does he understand the product? What does he think before and after buying the product? How and when does he use the product? What is the impact of using or not using the product? This augmented service approach provides an end to end Omni Channel Experience. Omni-channel is more social, influential and understands when customers decide to buy or not a product or service. A combined and cross-referenced medium of interaction between the organizations and customers/ users. Executing an Omni-channel strategy requires a fundamental shift from an operational standpoint to breaking the silos of individual operative entities with the organization. To name a few brands like Disney, Virgin Atlantic and Bank of America have successfully executed these and if you have ever been a customer with these brands I hope you would relate and feel the connected experience. It is the organization that needs to set those cross-referenced common experience across all channels, Devices and Teams. It is important to make this engagement more human. While we are on the verge of conversational User Interfaces where the industry is trying to shift from application usage to conversation, an augmented customer experience approach leads to better engagement. Engaged customers buy 50% more frequently, spend 200% more each year, and are 5 times more likely to indicate a brand is the only one they would purchase in the future. Customer engagement defines the maturity of the brand relationship. Ok, now that we have looked at the problems and how do we create that value? There are many tools and methods followed by a service designer in the industry and customer journey mapping is one such tool. A process of identifying key customer interactions with the product. A few common research methodologies include. When should you conduct a journey mapping? When the product is at a conceptual stage and there is a need to define an innovative vision from a customer centric perspective. When an organizational transformation is required. Create opportunities for customer understanding programs for the organizational response. Reveals Silos and identify problems ahead to strategies actions in the right direction. Transformation by orchestrating the right department to do the right job. How can we create a Journey map? A blank worksheet with swim lanes. Step 2: Set goals for each persona on what exactly is the team intended to find out. Step 3: Define and order various touch points for each persona with stakeholders on a sticky note. Based on the storyboards the relevant channels can be mapped to identify other dimensions like opportunities and constraints. If the project has a pre-existing list of features identified then those can also be mapped as a dimension to understand the gaps. For the final map with all the relevant dimensions ref figure 4 below. 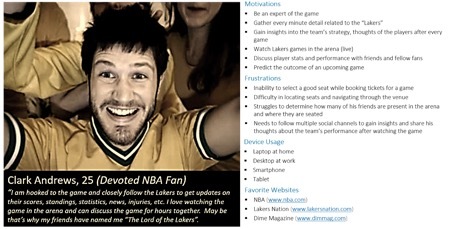 The above journey map illustrates the journey of a soccer fan trying to visit the game. 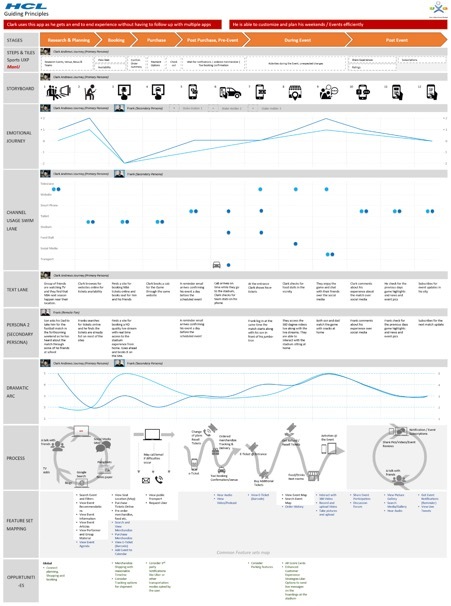 A Customer Journey map is an ideal candidate for designing new & existing services. This should be done as a collaborative process with the entire team. This involves discovering critical elements. Setting up a few goals to define what needs to change at what point of time etc. Explore and brainstorm 3 things; Ideas, Ideas and Ideas from opportunities discovered to improve your overall customer engagement. Prototype to build a Minimum Viable Product (MVP) from those ideas to iterate experiments early at the concept level. 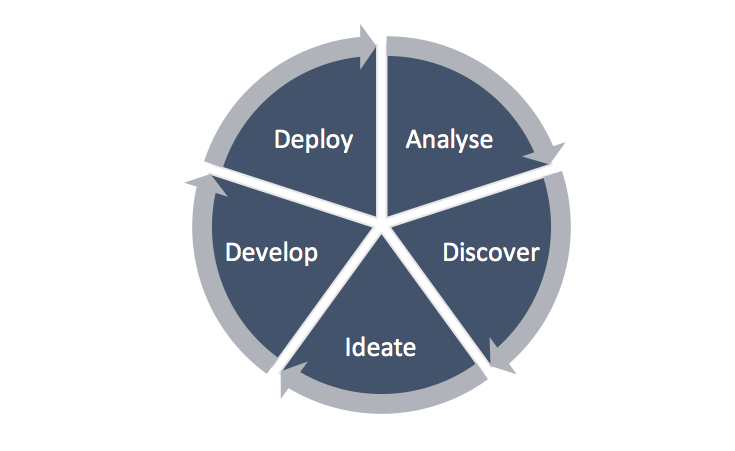 Think lean and fail early - Deploy MVPs to understand how many of those ideas fail and succeed? It is usually 2 steps forward and 3 steps backward but that works. It helps save a lot on the investment by testing those ideas and iterating them. Many product developments in the market from start-ups to large organizations spend quite a lot of time on analysing and validating their business goals. This exercise can help align & visualize goals through story and visualizations. This also helps existing products to re-validate their fragmented understanding of the end users to look & feel the elephant as a whole. Of all the 4 types of UX methodologies followed in software development which include Agile UX, Pain Driven Design (PDD), UX Runway and Lean UX, Journey mapping can be used to start-off the design activity by setting up the vision for the project. This can later be iterated with the team and various stakeholders for further refinement. Cruickshank, P. (2011). Customer Journey Mapping. Smart Cities Guide. Deepak Arasu is an Experience Specialist who is part of the User Experience Centre of Excellence team at HCL Technologies Ltd. He is a Certified Usability Analyst from Human Factors International with 13 years of experience working on Sales, Research, Entrepreneurship in E-Commerce, Service design, UX Consulting, Lean / Agile methodologies & UX Processes, Interaction design for Web/Mobile and Enterprise applications.